Get nature on your side. Dermatologically tested. For sensitive skin. UNEP award. 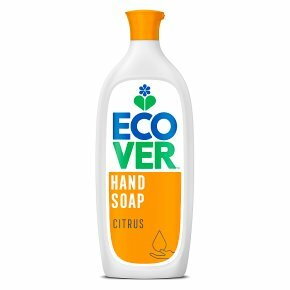 Our simple, fruity hand soap is made using plant-based ingredients to give your hands a soft, gentle clean and leave them zesty fresh. If you were wondering why our products smell so nice, it's because we make the most of what our planet gives us... fresh naturally-derived fragrances. PH neutral and dermatologically tested for sensitive skin, our body products are mild and suitable for daily use so your skin stays silky smooth.